The pilot was established as part of the fiscal year 2016 National Defense Authorization Act (NDAA — www.congress.gov/114/plaws/publ92/PLAW-114publ92.pdf) to explore ways to use satellite industry capabilities to enhance resilience and lower the cost of military employed satellite communications (SATCOM). 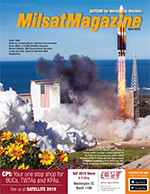 The experiment demonstrated that a military SATCOM terminal can seamlessly roam across disparate commercial networks to employ both the military Wideband Global SATCOM (WGS) system and commercial satellites. However, in reality, it represents what commercial industry perceives as fairly low-hanging fruit in terms of accelerating the implementation of the enterprise architecture for interoperable SATCOM. The Pentagon provided a preliminary glimpse into the DoD’s summary of findings from the USAF’s Analysis of Alternatives (AoA — www.acqnotes.com/wp-content/uploads/2014/09/Analysis-of-Alternative-AoA-Handbook-July-2016.pdf) for a future Wideband Communication System. We learned that there are “opportunities to expand the use of commercial” communication satellites. However, they went on to add that a major obstacle is that most satellite terminals used by the military are not compatible with modern SATCOM technology, and there are numerous terminals in the inventory. Replacement of these terminals would require decades to accomplish and potentially cost billions of dollars. The implication is the terminal challenge will be handled separately from the space segment — that, unfortunately, perpetuates the asynchronization of satellite communication networks and will ultimately delay integration of the architecture and may increase even further the cost for operational resiliency over many years. flexible business models can resolve this perceived challenge. The legacy terminals will undergo a recapitalization process, which should take into consideration the deployment of adaptive modems and multi-band features to enable roaming across heterogeneous networks while taking advantage of enhanced modern SATCOM technologies to great effect. While size, weight and power (SWaP) considerations should be taken into consideration, flexibility in terminal air interface and spectrum offers the optimum operational flexibility without specific commitment to any particular transmission path. For many communication requirements, the terminals can embed within a SATCOM as a Service model, which provides a critical end-to-end communication infrastructure that is owned and managed by trusted commercial operators and includes the space and ground segment elements that deliver seamless global connectivity. That brings the desired flexibility, security and cost-efficiency that allow government users to augment their MILSATCOM systems when needed, without any upfront commitment. With this, there would be a clear path toward “Terminal as a Service,” which ensures continual technology refresh and modernization at an affordable rate. The terminal debate brings up familiar, unsound arguments regarding “sunk costs.” If we allow sunk cost fallacies to keep us from progressing, then we will continue to have inflexible terminals for years, even decades to come. If we cling to yesterday’s technologies to avoid a short-term and necessary budgetary expense, then we are pressing an “easy button” which stalls forward momentum for building an integrated architecture. It is imperative that multi-band and multi-mode terminals and baseband interoperability are aggressively pursued. An integrated enterprise SATCOM architecture is obtainable best through strong government and commercial partnerships. Imperative is that capable, commercial SATCOM capabilities are fully considered foundational to the necessary recapitalization and modernization process, while respecting the U.S. Code’s Title 10 authorities for each service to train and equip. 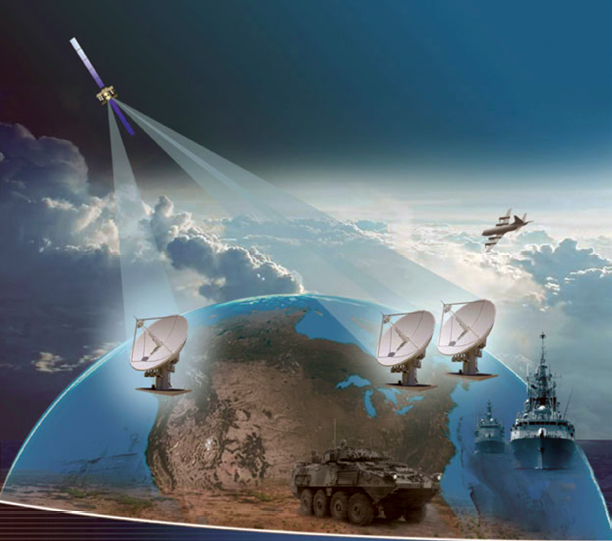 Architecturally aligning and synchronizing terminal enhancements and investments is an essential step towards modernizing the DoD’s SATCOM networks, long before any additional military purpose-built satellites should even be considered. The ground segment should afford flexible adaptation to leverage the full legacy capabilities of the military-operated SATCOM as well as the phenomenal breadth and scope of secure, mobile commercial SATCOM for resiliency and operational effectiveness. Leadership should present a new strategy that will focus and accelerate investment in innovative commercial SATCOM, network and terminal technologies that support operationally agile, resilient, flexible capabilities. As valued industry partners, we make significant investments in modular terminals to replace vertically-integrated systems to support the government’s drive towards establishing a completely integrated architecture. In some cases, we modify existing terminals. In others, we build new ones. Although small scale in nature, the recent Air Force SATCOM pilot results highlighting terminal flexibility and commercial compatibility remain the source of much encouragement. The pilot is indicative of an area of focus that — despite certain perceived challenges — is not “too hard” to fix. As partners, we can resolve these challenges together in an accelerated manner, with an integrated architecture firmly within our sights. Ms. Cowen-Hirsch is a Senior Columnist for MilsatMagazine.